Cheers to Fall Inspired Cocktails! It’s that time of year again — time for my favorite ‘F’ word: FALL! Gimme all the pumpkin, apple cider, cozy sweaters and boots! I love summer, but by now I’m ready to transition into the new season, especially since there are so many holidays and get-togethers this time of year. From fantasy football with friends to trick-or-treating with the kiddos to our big “framily” Thanksgiving dinner, I love filling our house with friends and family and just enjoying each other’s company. 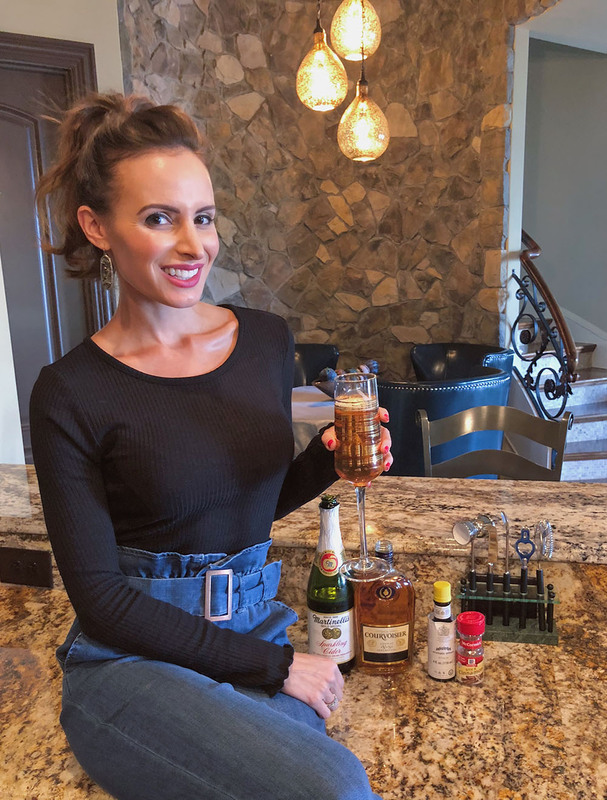 If you’re like me and love to host people, I have two fall-inspired cocktail recipes that are so simple and tasty. I’m talking 3 ingredients…seriously that’s it! So don’t settle for lukewarm beer or the same wine you have over and over. Try these yummy cocktails, I promise they’ll leave you and your guests impressed! My first recipe is the Raspberry Beer Cocktail. If you guys know me, you know I hate beer. Seriously, I know it’s weird, but I just don’t like the taste at all. However, I know when we are at a party or people are tailgating, it’s a staple. So, non-beer drinkers, rejoice! Here is an easy way to turn beer into a tasty cocktail we can all enjoy! First, let me say that it’s not so easy to find frozen raspberry lemonade, so I switched the recipe up a bit. I bought regular frozen lemonade and mashed up frozen raspberries. I would have preferred the easier way, but, hey, it is what it is! Grab a cute pitcher, add the can of lemonade and slowly add the can of beer. Next, add the muddled raspberries and ½ cup of vodka (I splashed a little more because, why not?!). Throw in some raspberries to garnish and that’s it! So simple! I’d be lying if I said this recipe didn’t make me nervous at first with the beer taste. But you can’t even taste the beer, and it helps cancel out a bit of the sweetness. If you don’t like sweet, cut back a bit on the lemonade. 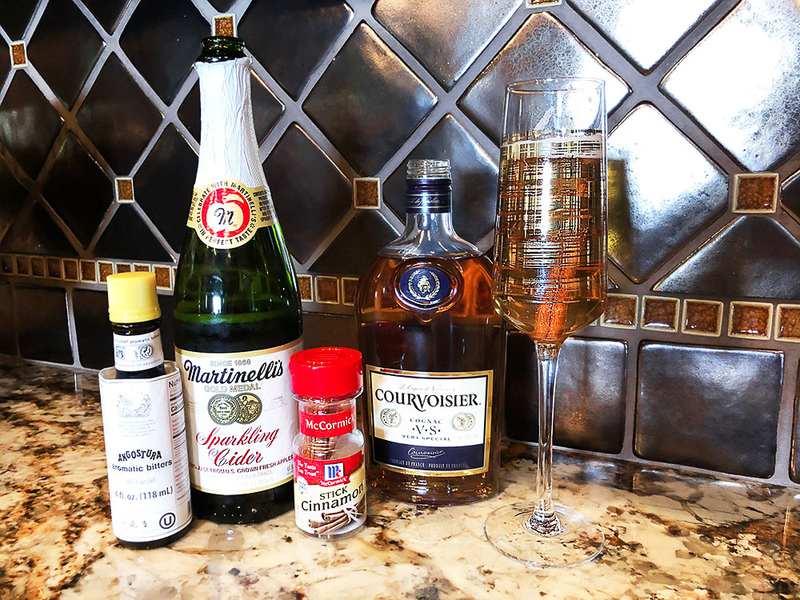 My second cocktail recipe is the Cognac Sparkler. So fancy, right?! The cider in this one really gives me those fall feels plus it’s SO GOOD! It would be perfect for Thanksgiving dinner. First, pour the chilled apple cider into a champagne flute. Top with a splash of cognac and finish with a few dashes bitters! Garnish with cinnamon sticks and that’s it! If you wanted to get really fancy, you could play around with a dried apple slice as a garnish too. These two cocktails are the perfect, simple drinks for any party or even the holidays coming up! 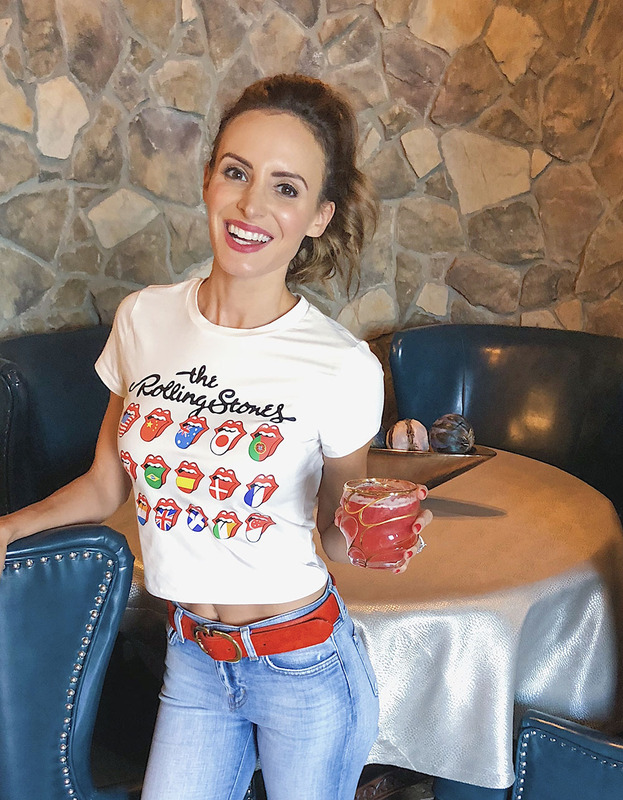 I’d love to hear about your favorite fall cocktails – comment below!